Yesterday I received my MacBook Air, as well as an adapter I ordered from Amazon which is basically a 3 in 1 Thunderbolt to VGA, DVI or HDMI (with sound output for HDMI), the Macbook Air doesn’t come with an output port, and there’s no way to connect it to a screen without using an adapter. Now apple sell these adapters at $29 each, as well as $34 after market HDMI connector, that means in order for you to buy them all together you will be paying around $93 in total. I was sceptical at first, as it came with a Surreal price tag of $25.99, which was great value for money, I highly recommend investing in one if you own a Mac, just ensure that you select the correct adapter size in comparison to your laptop. 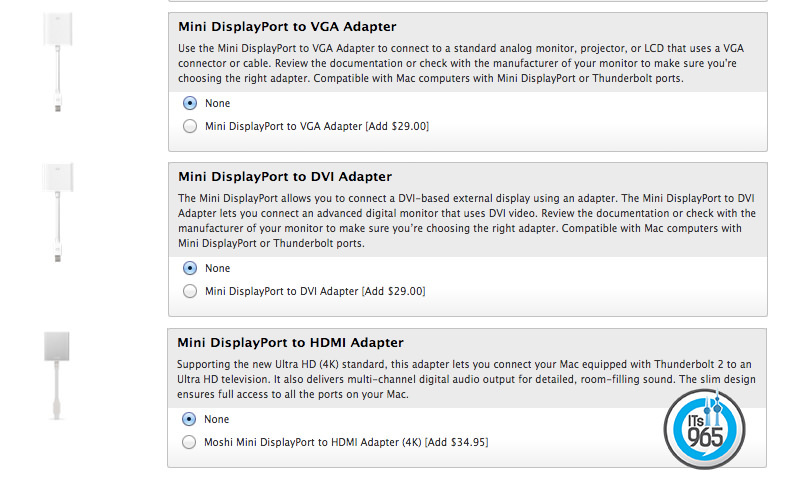 For the HDMI output, to enable the sound, simply choose the TV/Screen as the output device, and voila!